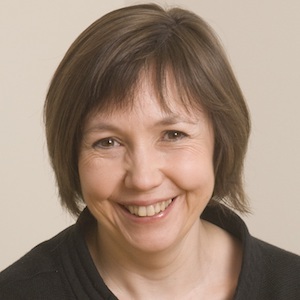 Deborah has been chief executive of the Incorporated Society of Musicians (ISM) since 2008. The ISM is the UK’s fastest-growing professional body for musicians, with 9,000 members working across all disciplines and genres. Deborah took a degree in PPE from Oxford where she combined her love of campaigning with a very active involvement in music. Deborah is an expert employment lawyer, with 15 years’ experience in the City of London specialising in sexual harassment and discrimination law and becoming partner of a law firm in 1998. Deborah has campaigned for the rights of musicians and over the last decade she has put the interests of the music profession at the forefront of her work. Since November 2017, the ISM has been leading in relation to uncovering incidents of sexual harassment, discrimination and bullying in the music sector and pushing for necessary awareness and change across every aspect of the industry. Deborah has led the ISM’s Dignity at work campaign to ensure bullying, harassment and discrimination are eradicated in the music sector. Deborah has identified three legislative asks to government which are now being taken forward by the Women and Equalities Select Committee. Deborah founded the ISM’s Free Move Create campaign in partnership with a-n The Artists Information Company. She also founded the ISM’s Bacc for the Future campaign, to keep opportunities to study music open to all and led the Protect Music Education initiative, securing ongoing funding worth £300m for music hubs in England. She is Chair of the Educational Recording Agency (ERA) and is also Chair of the human rights charity Fair Trials International.